The smash hit Sunday Times bestseller. First day back at school. I am going to 100% nail being a school mummy this year. I can totally do this. Yes, this year is definitely going to be much better – I am absolutely not going to shout at the children, let them stuff their faces with crisps or goggle away on the iPad. And I most certainly will not slump on the sofa at the end of the day, glugging wine and muttering ‘FML’ repeatedly. Gill Sims is the author of the hugely successful parenting blog and Facebook site ‘Peter and Jane’. 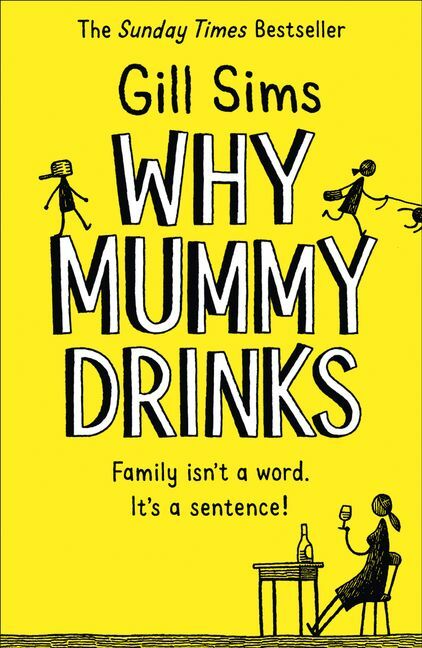 Why Mummy Drinks was the bestselling hardback fiction debut of 2017, spending over six months in the top ten of the Sunday Times Bestseller Charts, and was shortlisted for Debut Novel of the Year in the British Book Awards. Her second novel Why Mummy Swears spent seven weeks at number one in the Sunday Times Bestseller Charts, and 19 weeks in the top ten. She lives in Scotland with her husband, two children and a recalcitrant Border Terrier, who rules the house. Gill’s interests include drinking wine, wasting time on social media, trying and failing to capture her lost youth, and looking for the dog when he decides to go on one of his regular jaunts.